Let’s hope this is enough, but I’m not yet convinced. Komen, of course, has the right to distribute funds as they see fit and in accordance with the organizations priorities. FAIRLY. When they create rules for one funded agency that don’t apply to others, that’s not okay. When they change the rules of the games and pull back funding that was already allocated, that’s also not okay. Komen knew the Planned Parenthood agenda when they initially allocated funds, and designated their use by Planned Parenthood accordingly. As a public, tax-exempt non-profit, what they do NOT have the right to is to mislead the public. Defunding Planned Parenthood was simply the one act that shed light on the reality of what Komen does the public’s generosity. 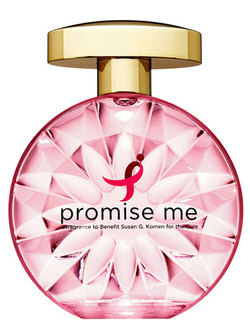 From over-paid executives and first-class travel, to marketing partnerships that include dangerous and carcinogenic products, from “awareness” campaigns that don’t seem to take into account that we ALL know about brest cancer, to a paltry allocation to actual RESEARCH “…for a CURE” (25% according to Komen, under 17% when you take out the overhead), it is high time that this organization, that is supported both by donors AND American tax-payers, come under the spotlight. If you KNOWINGLY agree with their priorities, then terrific…but most have no clue how little “…for the cure” happens at Komen. It’s time for transparency! And really, enough of the pink fluffy business already. Susan komen died of metastatic breast cancer. That’s the one that kills… The one that 30% of all stage 0, I, II and III eventually get. It’s the one that receives 2 % of research dollars and takes the lives of 98% of the women ( and men) . We are not the pretty side of pink, we are the ones dying for a cure. For us it’s too late for prevention … Early screening won’t help anymore. Oh , we still have hope but it’s hope that we can remain alive until a cure is finally found. We want 30% of the research dollars. Fair is fair. We’re tired of being swept under the rug and virtually unmentioned by the komen foundation. Most people don’t know that there are several types of breast cancer and depending on what type you are, it can seriously affect your outcome. We need more education and more funding to learn how to save the 40,000 of us that are dying every year of stage IV cancer. We’ve become a brand… It’s fashionable to wear pink, it shows you’re supporting the cause… Lies and marketing while the same women they profess to support are dying of this disease. I, for one, do NOT wish for the demise of Komen. They have built a following that is enviable of any non-profit, and one from which I still believe so much good could come! But they need to come clean, listen to the breast cancer community, and start putting their fortune toward TRUE benefit. As for metastatic research…that is DISGRACEFUL, SHAMEFUL, and ironically one of the places where Komen could, in the space of a heartbeat, change the picture entirely! How can we get our story in USA today ??? These are facts not just the spewing of a woman desperate for myself and women and men like me. We need to educate people so they can truly help with their dollars. When people know the truth , they will change the face of breast cancer. I believe this with all of my heart. While it is a challenge to get the word out, I think the tide is shifting. The blogosphere and twitterverse are both replete with others singing the “#occupythecure” song! I, for one, post comments and links whenever I see an opportunity, and I know so many others who do the same!! I know it’s an uphill battle, but I also know that our passion and commitment can prevail. THEY MUST! You GO GIRL!! Excellent comment. Thanks… Feeling the need for speed… Gotta get our word out there !!!! God bless all of us fighting the met-monster and those who try to help us. Maybe Komen will look our way. Thank you for your wonderful post. We having nothing to lose, so there is no reason not to make some noise, right?? Thank you, Jan! Here’s to #occupythecure!! As always Lori a very thoughtful post. I especially appreciate your comments that you do not wish for the demise of Komen. It is very easy to bash the organization given all the recent issues as well as the incredible lack of focus on metastatic disease, but they have funded and supported good work, especially at community levels. It is sad that the organization lost sight of it’s initial mission, and I am hopeful that with new leadership they will be able to refocus on their original goal, which was to find a way to end breast cancer. I’m very skeptical, but hopeful.